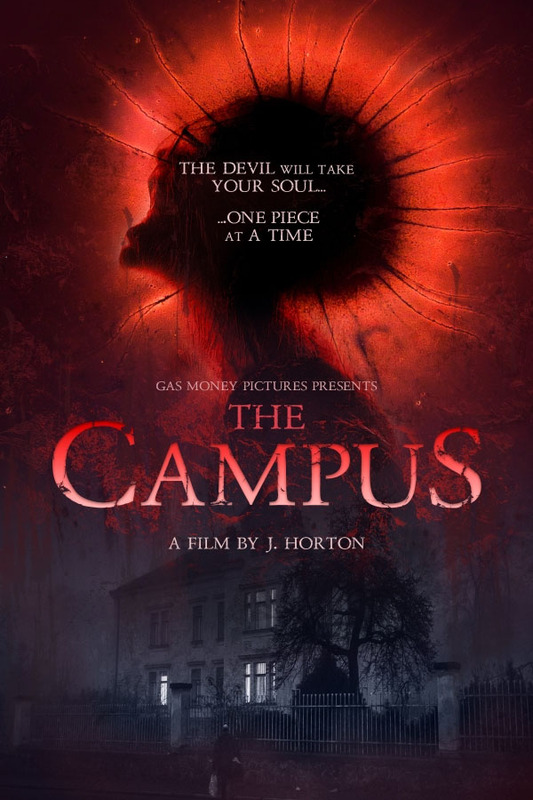 THE B-MOVIE NEWS VAULT: J. Horton's THE CAMPUS Will Take Your Soul - One Piece At a Time! J. Horton's THE CAMPUS Will Take Your Soul - One Piece At a Time! A DEAL WITH THE DEVIL GOES SOUTH IN "THE CAMPUS," WHICH IS CURRENTLY AVAILABLE TO WATCH ON DEMAND! UPDATE (04/24/2018): THE CAMPUS is now available on DVD! Order a copy now from AMAZON! A young woman discovers that there is a fate worse than death in THE CAMPUS, a new indie horror tale from writer/director Jason Horton. This movie sounds like it would make a good double-feature with HAPPY DEATH DAY, and is currently available to stream instantly online! Synopsis: When Robert dies after breaking his deal with the Devil, his daughter returns home for the funeral. Morgan arrives with the intent of ripping off the family business, but soon finds herself in a never-ending cycle of terror! She is brutally murdered, then resurrected over and over again - each time losing another piece of her soul! Directed by Jason Horton (MONSTERS IN THE WOODS), THE CAMPUS stars Rachel Amanda Bryant, Robert C. Pullman, Brit Sheridan (Supernatural) and Scott Menville. CLICK HERE to watch THE CAMPUS right now on Amazon Instant Video!